What's 'Samuel Howitt print' Worth? 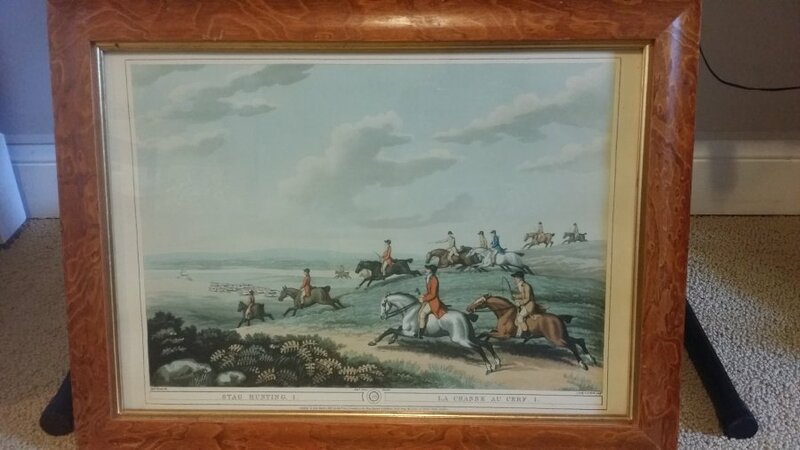 I'm looking to find out what 'Samuel Howitt print' is worth. I found a site that lists and sells a variety of Samuel Howitts' prints. The Prices on the retail site range from 129 pounds (almost $200 U.S.) down to 20 pounds, depending on the size of the print. The Ebay listing hasn't been sold as yet, and hasn't any bidders, but they're asking 150 pounds (close to $230 U.S.). Their print doesn't look to be in as good a condition as yours is.